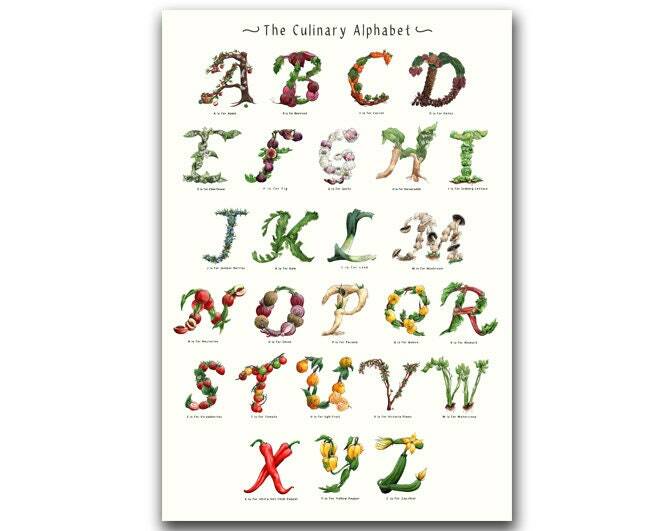 The overall print measures 330 x 482 mm (13"x19") and every print is signed. 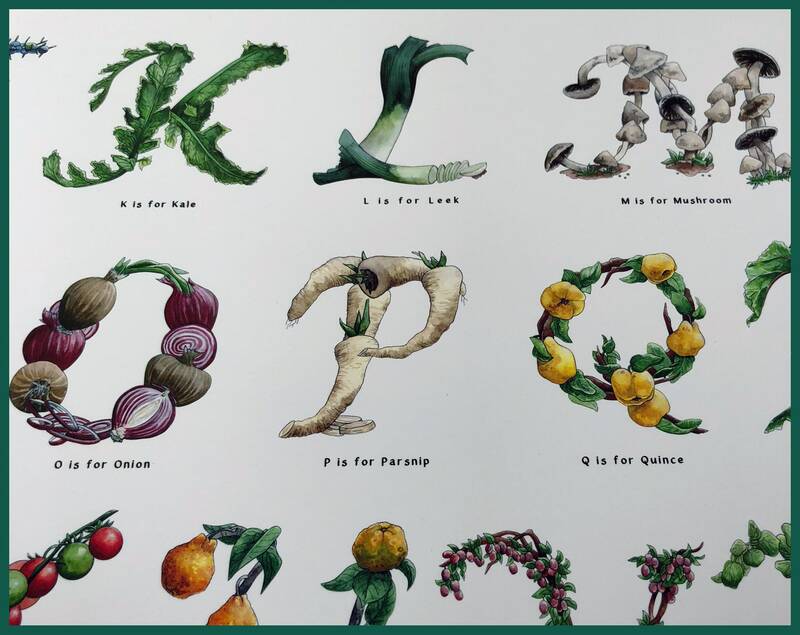 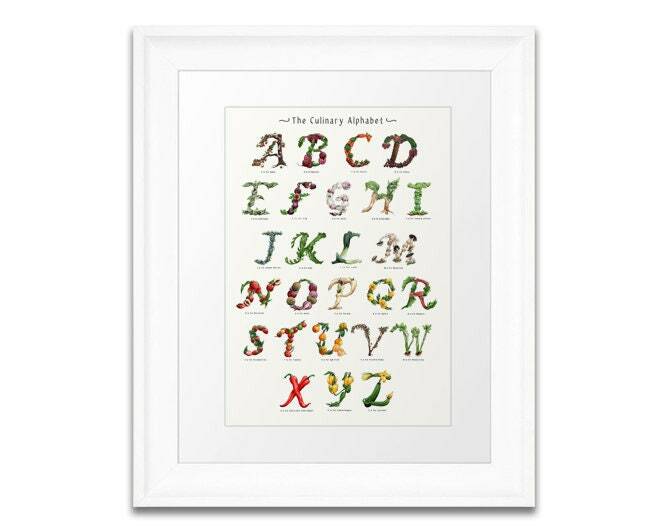 Each letter in this colourful alphabet series pays homage to a fruit or vegetable beginning with the same letter. 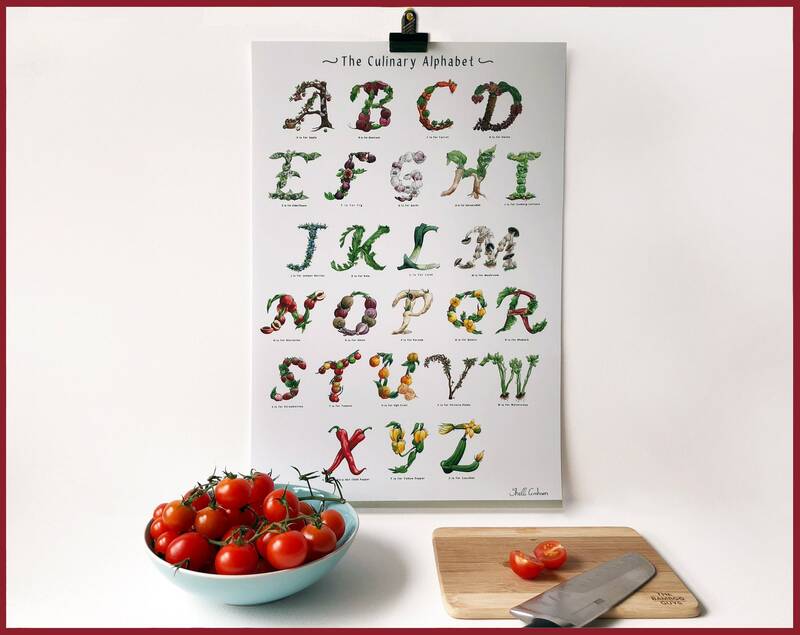 It's certainly a quirky piece of artwork for the kitchen or dining area that will not only inject a splash of colour but be a talking point when family and friends come round for dinner. 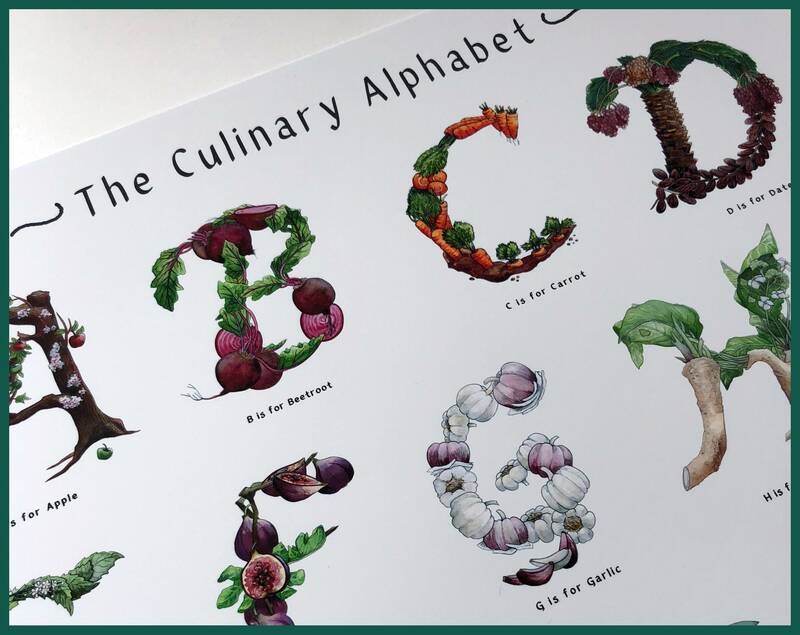 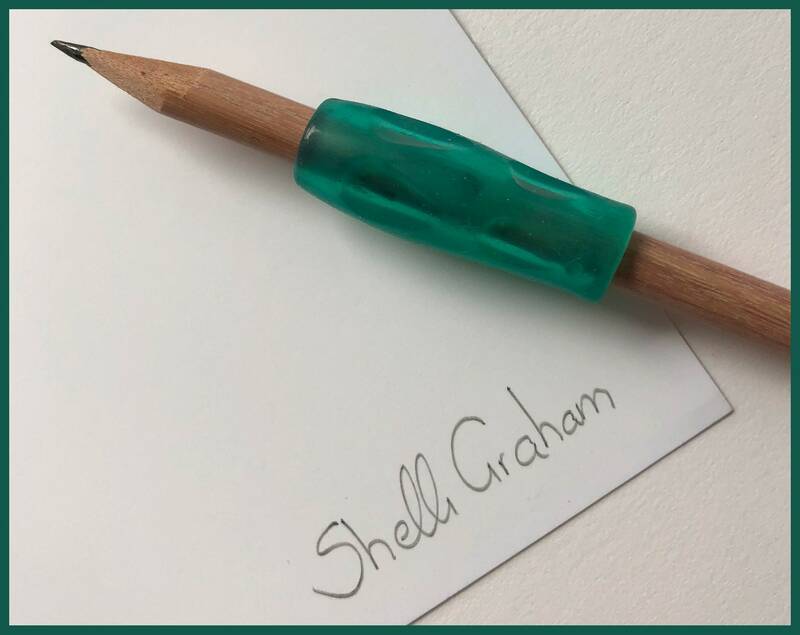 You will receive your print carefully rolled up inside a postal tube lined with tissue paper, making it a great gift for foodies, budding chefs or anyone pursuing a healthy, plant-based lifestyle.